Having grown up on a farm in North Dakota, living in the Methow Valley is a welcome return to his roots. Don moved to Twisp in June 2014 after thirty years in Seattle. Careers in non-profit fundraising, hospitality and high tech have given him a broad background of skills he’s eager to put to work in the community. Tori Karpenko is an artist, farmer, carpenter and non-profit leader. 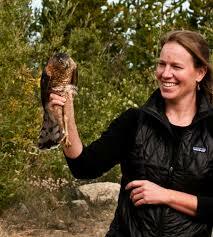 Tori first came to the Methow Valley in 2001 as the farm manager for Sunny Pine Farm. Tori lives south of Twisp with his son Tesh. Chris joins TwispWorks as Director of Development following more than 20 years doing communications, marketing and public relations for high tech and non-profit organizations. A Seattle native, Chris has been coming to the Methow Vally for years, and made it his home in September 2015. Joe worked in the semiconductor industry as a manufacturing engineer for 14 years before moving to the Methow in 2011. He lives on the south Fork of Gold Creek where he spends most of his free time either gardening or hiking, biking, climbing, sking the Sawtooth range. Sarah moved to Pateros at the mouth of the Methow Valley in 2012. Her professional experiences range from managing punk rock bars, to teaching circus arts, to maintaining proper inventory levels of infectious materials for a Seattle biotech company. Anne has been coming to the Methow to bike, fish and enjoy the peaceful beauty since the 1980s. In 2008 she moved here, joining her brother and parents. Anne’s background includes experience in biotechnology, textiles and computing systems. She enjoys spending time with family and her Nova Scotia Duck Tolling Retriever, Molly, as well as weaving, watercolors, fishing, biking and music. The TwispWorks Foundation is the 501c3 non-profit organization that owns and operates the TwispWorks campus. The mission of the TwispWorks Foundation is to increase economic vitality in the Methow Valley through education, agriculture, technology, art and culture. Ray is a native of the Northwest, growing up in the Tacoma area. As an architect, Ray was introduced to the Methow Valley in 1987 and has been actively engaged in it ever since. Ray and his wife and partner, Mary, formed Johnston Architects in 1991 with the belief that architecture should be a reflection of its community as well as a response to the environment. When the Twisp Forest Service Complex became available, Ray joined an ad-hoc group of citizens seeking to acquire the property for the people of the Methow Valley. He has since acted as chair of the acquisition movement, the PDA that won the property and now the Foundation that operates TwispWorks. Perri Howard is a Methow Valley artist working in public art, painting, sculpture, and sound. Raised in Marblehead, MA, she landed in Twisp as a 16 year-old on an Outward Bound Course and has returned to the valley for recreation and inspiration ever since, making a permanent home here in 2016, with her husband and two dogs. Perri received her MFA from Cranbrook Academy of Art in 2001 and has served as a visiting artist at colleges and universities throughout the United States. She teaches community-based classes in drawing and field journaling and is adjunct faculty at Wenatchee Valley Community College. A passionate advocate for artists and art space, Perri is honored to support the evolution of this remarkable creative community. Steve became a part time resident of the Methow Valley in 2009 and moved here full time in 2013 after retiring from a career in manufacturing where he held a number of executive positions at various facilities in Washington State, Nevada, Pennsylvania and Liege, Belgium. Besides loving skiing, snowshoeing, hiking, biking and almost all team sports, Steve has had a life long interest in politics and public policy particularly as they apply to preserving the spectacular beauty and rural character of the American West through thoughtful, appropriate economic development. In TwispWorks, Steve sees a tremendous opportunity to support this approach to economic development through the creation of a robust and vital public square that also serves as an incubator for creative entrepreneurs. Though Jim’s great-great-uncles homesteaded in the Methow on property near Twin Lakes, he never came to the valley until 2002. Originally intending to be a farmer, he is now owner/general contractor at Blackcap Builders Collective. In addition to building houses he also maintains a small hobby farm producing lamb, wool, and hay. His interest in sustainability (economic and environmental) is what led him to get involved with, first, The Partnership for a Sustainable Methow (PSM) and now TwispWorks. Char is a native of the Northwest. She became a part time valley resident in 2003. Fully retired after spending 40 years teaching in the field of science education, she and her husband of 44 years, now call the valley their home. Initially moving to the valley for the recreation, Char quickly discovered the amazing Methow Valley community. She served on the board of the Methow Conservancy and has volunteered with numerous other organizations. Char is looking forward to serving on the board of TwispWorks, after being an advisory board member. Joanna is a native of scenic Boise, Idaho, where she earned a B.A. in English, Technical Communications from Boise State University. While working at Micron Technologies in Boise, she was offered the opportunity to help start an Intel-Micron joint venture, IM Flash Technologies near Salt Lake City, Utah. At IMFT, Joanna worked with the documentation team to create integrated training documents, and acted as a communication liaison between engineering and production teams to create and efficiently reach training, production, and engineering milestones. In 2011, Joanna moved to the Methow Valley to explore the stunning beauty of the North Cascades. She is the Administrative Officer for the Bear Fight Institute, a solar system research center located in Winthrop. Joanna is also the Lower Valley columnist for the Methow Valley News. Raised in Virginia, John moved west in 1975 to work in architecture and construction. Working as a union journeyman carpenter in Seattle led him a career of commercial construction management, projects which ultimately brought him to the Methow Valley. John and his wife Candice are avid cross-country skiers and excited to make a commitment to the Methow Valley with their time and skills. Phil Davis is continually awed by the power of community that drives the Methow. He and his wife Cathy have owned property in the valley for 23 years, and now split their time between their West Seattle and West Chewuch homes. Phil has served on the Methow Conservancy board, and is excited to join the TwispWorks board as it builds partnerships in support of a sustainable, growing, and inclusive economy. He has held various leadership roles in business and non profit, with extensive experience in early stage and growth organizations. Susan Donahue is a lawyer and artist living in the Methow Valley. She grew up in Bellevue, Washington, and received a Ph.D. in English from the University of Washington. She was an Assistant Professor of English at Virginia Tech and the University of Oklahoma before receiving her law degree from the University of Alabama. After practicing law in Birmingham, Alabama, she moved to the Methow Valley five years ago when her husband took a position as an English Professor at Wenatchee Valley College in Omak. She opened her law office in Twisp shortly after arriving. She paints still lifes, landscapes and portraits in oils both studio work and plein air and has recently shown her work in local and regional galleries and juried shows. Serving on the TwispWorks board perfectly combines her two activities of law and painting. She feels honored to be able to contribute to the work of the TwispWorks board. I moved to the Methow in 1983 to spend the winter skiing after graduating from the University of Washington with a degree in Land Use Planning. After a volunteer position at the Okanogan County Planning Department developed into a State Grant, I extended my winter sojourn into the summer and fall. I fell in love with the Methow Valley’s mountain lifestyle and its community and never left. The following year a friend and I created Methow Valley Central Reservations and affiliated with Winthrop Realty in 1985. I feel very fortunate to have made the Methow Valley my home and to have raised two daughters here. I enjoy exploring our Methow Valley trails and mountains on foot, on Nordic and alpine skiis and on bicycle. I also play in my garden & enjoy cooking the fruits of my labor. Jane fell in love with Methow Valley life almost 40 years ago. After 20 years of a litigation practice in Seattle she moved full time to her Winthrop smallholding. She divides her time between a variety of volunteer projects and caring for a remuda of mules, donkeys and horses and several rare breeds of chickens. Riding the territory reinforces her commitment to keeping the Methow as close as possible to open, healthy and vibrant in our changing world. Christiane was born and raised in Germany. During her 1991 travels she discovered the Methow Valley with its wonderful people and gorgeous countryside. Her first night ever in the Methow she stayed at the Bunkhouse at TwispWorks (it was then the Twisp Ranger Station/U.S. Forest Service Campus). In 2004, Christiane moved to the Methow to be with partner and artist Bernie Hosey. Bernie was involved with TwispWorks from the beginning. “He had visions and ideas for the campus that we often discussed,” Christiane says. “We both felt the budding energy, the potential, and how important it is for a community to have such a culturally enriching place. It makes me smile to see TwispWorks rise! Originally from North Carolina, Mary was a grassroots organizer for the Sierra Club for seven years, including four years in Seattle, before moving to the Methow Valley in 2005. Mary is also on the Board of the Washington Native Plant Society and is passionate about life-long education, natural history and growing food. Mary is excited to provide what energy and assistance she can to make TwispWorks an integral part of what makes the Methow Valley so special. Mike Port moved to Twisp in the early 1970’s when his parents purchased Twisp Chevron. A graduate of Liberty Bell High School, Mike has founded and run several successful local business including Les Schwab Tire Center, Port’s Towing and Port’s On-Site Services. In recent years, Mike has focused on the Valley’s commercial and industrial real estate market. Mike also flies seaplanes for Atleo Air Service in Tofino BC during the summer and has a passion for restoring and flying small aircraft. Mike brings his extensive knowledge of the Methow Valley and strong support of local business in the Town of Twisp to the TwispWorks Board. Ken became a full-time resident in Mazama last April. He grew up in the Gold Country of California where he was was a special education teacher, principal and assistant superintendent in South Lake Tahoe. While there, he led a city-wide coalition to build a healthy community. Before moving here, he was Director of Professional Development for an international seminar company headquartered here in Bellevue. His career has been focused on leadership, training and coaching. Along with his love of literature, music and art, enjoys trail running, strength training and hiking. He is s now attempting to learn cross country skiing. Ken is honored to be a board member of TwispWorks and hopes to play a role in helping the organization strengthen economic vitality here in the valley.